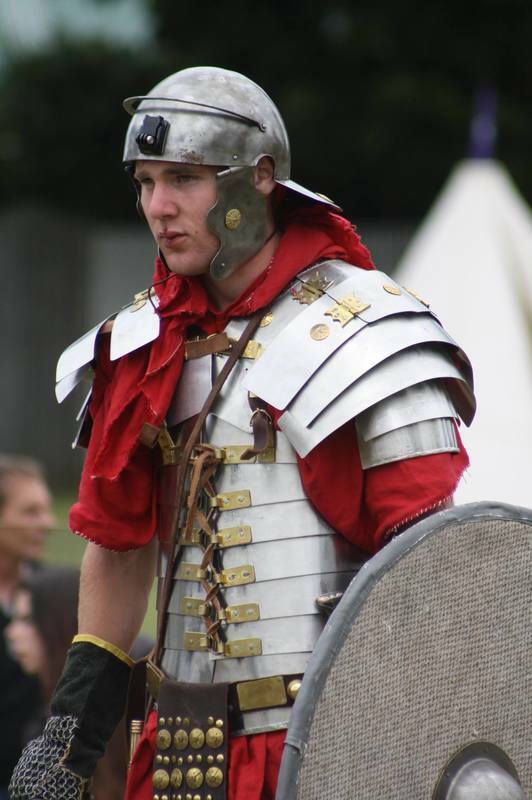 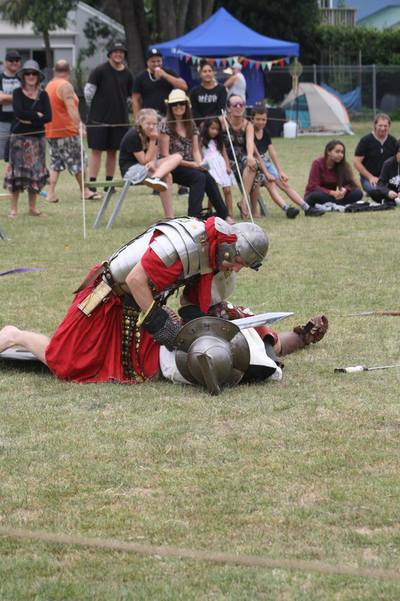 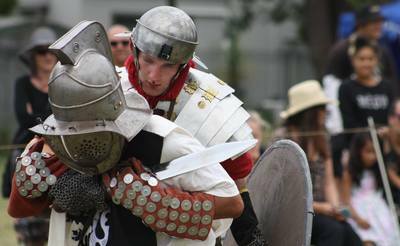 The NZ Medieval Faire hosts re-enactment groups from all over NZ covering the period from Rome to the Renaissance. 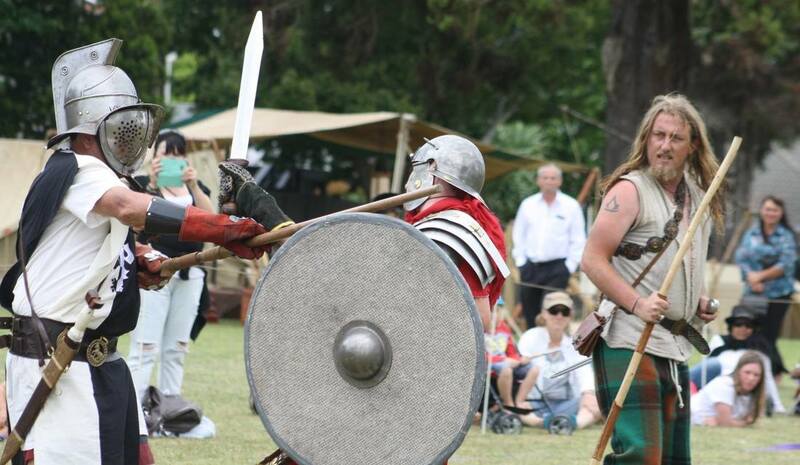 This year it was held on the Southey Field of Tauranga High School, which has special significance for club member David Layzell who had attended the school and remembers when the field was first named in honour of "Southey", a district school inspector. 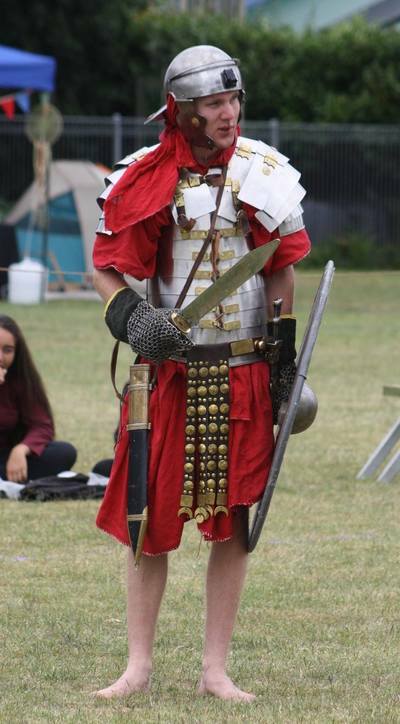 Dave was interviewed for the local newspaper (article below) and certainly never expected he would return over 50 years later to fight on the field as a Roman gladiator! 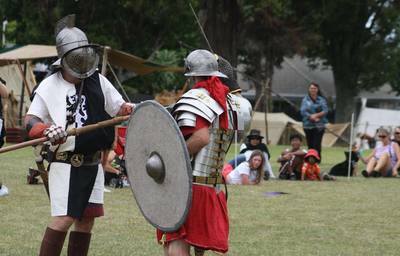 Decebalus the Dacian (Dave) fights as a hoplomachus gladiator against Darius the renegade Roman (Darren), a disgraced legionary condemned to die in the arena. But it just goes to prove that a barbarian gladiator is no match for a properly trained Roman soldier.